Change agents. Trailblazers. Success magnets. We’re searching for real estate industry thought leaders who live and work in their proposed country or region and are entrepreneurs with the experience, resources and drive to build the most dominant real estate company in their market. It goes without saying that they’ll be eager to adapt the KW model and a new way of thinking and operating. And they’ll believe passionately in our culture. In fact, they’ll probably already be walking the walk. We’re looking for leaders at every level – those who may eventually own regions and offices or those who may be a good fit to join world-class offices. In short, everywhere. All our growth is coming organically from the referrals of our associates and from inquiries received from abroad as a result of our success and track record in North America. Our goal is to pursue the right leaders and the right opportunities, no matter where they are on the map. 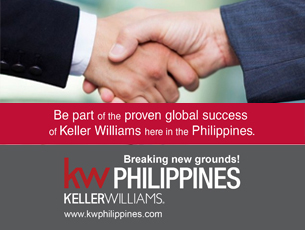 Even if you know talent in a country or region that’s already become part of the KW family, we want to talk with them, and can put them in touch with the current regional team to explore opportunities. What if we have more than one candidate for a territory? We take every market center candidate through the entire Career Visioning process, just like you would when you’re hiring for your team. We also do extensive due diligence (and allow them to do so on us) before we get to sign agreements. We spend an extraordinary amount of time to recruit and select the person or team that we feel is most qualified and best suited to build Keller Williams in any given territory. And don’t worry, we’ll keep you in the loop as much as we can during that process.